Check out this sound effect font with a classic look! It all starts with an idea. Then it becomes words or words with pictures. What do you do with words you get from someone else? How do you interpret the script so you can visualize it? Here's a process you can use. 1. Read the script a few times. Sometimes the images will come to you right away. That's great! Other times you will have to think about what you want to draw. In either case you have to get a clear image of what is happening in your mind. Your mind is your most important drawing tool. if you can't see it in your mind, the you can't draw it well on paper. If the characters are new to you then you have to imagine what they will look like. 2. Use a highlight marker to choose what items you are going to need reference to draw like the Statue of Liberty, a car wreck, luxury apartment, cars, chairs, kitchen, birds, etc. 3. 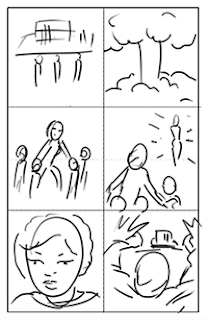 Make thumbnails to break down the script into pages for pacing,panel breakdowns and composition purposes. You can do this right on the script or on other paper. At this stage you just want to be sure your thinking is clear and you are concentrating on storytelling. You're not really trying to draw here. Do this quickly to get your ideas on paper. it can be stick figures or scribbles. It's for your benefit only. 4. Now collect all the reference images you will need. You don't want to disturb your drawing time by looking for reference then. Get it all at the beginning. Use the reference file you have and the internet. This is also the time to take your own photos. TAke a day to go to locations you may need like downtown, the subway, zoo etc. Also take shots of yourself and people in difficult pose you may need. References are to be used as a guide, not a crutch. It will be plainly obvious if you trace a reference in one panel and don't have reference for the same thing in another panel. 5. Do layouts. Now is when you want to be concerned about drawing. You have two options. 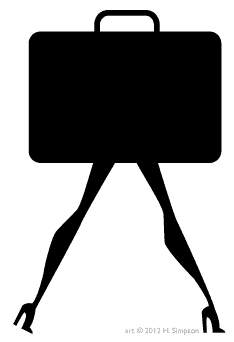 Draw it on an 8.5" x 11" bond paper , enlarge it to your art board size an then lightbox it onto the board. Or do your layouts directly onto your art board lightly with graphite or non-photo blue pencil. Leave room for balloons and captions. 6. Do some model sheets for yourself of the major characters, so you can draw them consistently from panel to panel. 7. If you have a full script, then now is the time to do the lettering. Do not do lettering for samples you are doing in your portfolio. This is a quick overview. I will go into detail about this process later. Here's a fun illustration by the great Brian Buniak. I always appreciate when someone goes and creates their own thing rather waiting for somebody to ask them to create. 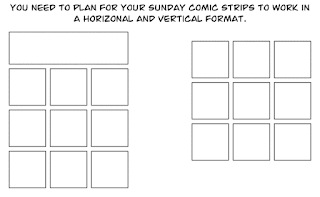 You're going to be spending a lot of time at a drawing table and/or in front of a computer screen drawing your comic strip, comic book or graphic novel. So create a comfortable working environment for your self that will reduce eye strain, muscle strain and fatigue, as well as poor posture. You want to stay healthy. Fluorescent lights are BAD for your eyes. They produce a harsh glare that strains the eyes. They also flicker over a hundred times per second. This creates eyestrain and can cause headaches or migraines. Incandescent lights are GOOD for your eyes. 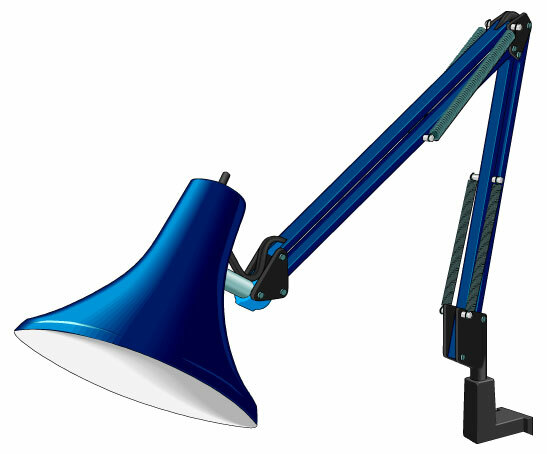 The heated tungsten filament glows with subdued light similar to the afternoon sunlight. A full-spectrum bulb is the BEST for eyes. It produces light similar to natural sunlight. This bulb provides a full spectrum of color and many people find they are able to see more noticeable differences in colors and shades. Colorists take note! Have window light coming from the the side opposite your drawing hand so there are no shadows when you draw. Invest in a good chair. This is another area you don't want to cheap out on yourself. Buy a chair with good lumbar support. It is ideal to change your position every now and then. Adjust your chair and backrest at regular intervals. Stretch your fingers, hands, arms and torso often. Stand up, stretch your back muscles and walk around for a few minutes now and again. Rather than chair with a back, you might want to consider a Ergonomic Kneeling Posture Chair. previous - Why Worry About Trim? The size of original comic book art used to be 200% larger than the printed size. 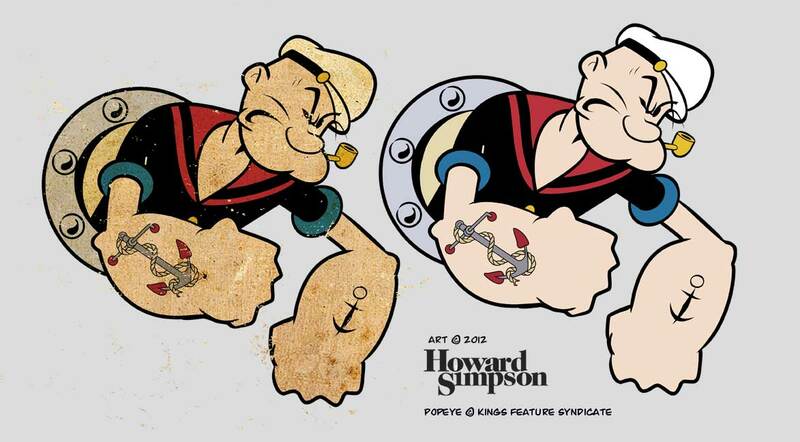 This was done because it was easier for the artist to draw details and covered some mistakes when reduced. 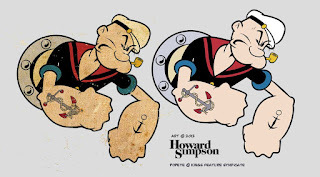 The economy caused companies to try to save on paper and ink costs so comics are smaller than they were and the original art paper size has shrunk. Now the original art is 150% larger than the printed size. The current paper size is 11" x 17" and the drawing area is 10" x 15". This is what you commonly are told. If you work for a large company that gives you the paper to draw on, then you don't need to know any more than that. It's a little more complicated than that. If you buy your own paper, you need to know a little more. 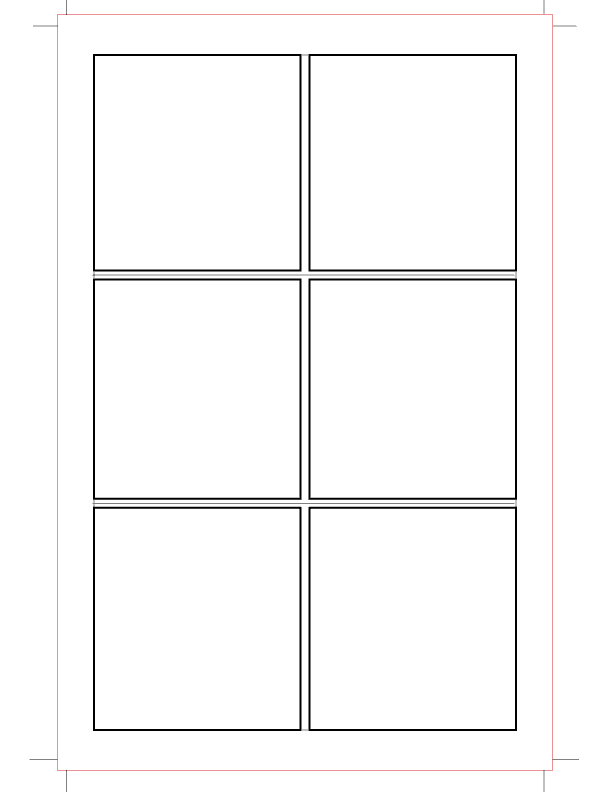 Bleed refers to art you want to go to the edge of the page - the trim size. However, if you want art to print to the edge, then your original art has to be drawn beyond the trim size to the bleed area. There also has to be a safe area to include lettering to be sure it doesn't get trimmed. NOTE: If you self-publish you will make more money by creating comics with no bleed. You get charged for all that excess paper that gets trimmed away! So these are the sizes you need to make. Live/Safe area is 9" x 13.5"
Bleed area is 10.5" x 15.75"
Trim size is 10" x 15"
These are the standard original art paper sizes. However, you can draw at any size that is proportional to the printed size. The ratio is 2:3. So if you have a small scanner you can make things easy for yourself. You don't have to draw on 11" x 17" paper and scan each half of the paper and put it back together on the computer. You can draw at a 2:3 ratio that fits your scanner. 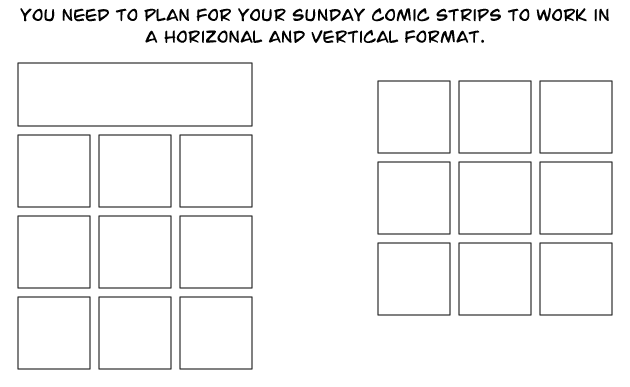 The printed size of the current American comic is 6 3/4" x 10 1/4" (6.625" x 10.25"). With the current digital tools available and better printing technology you no longer have to do things the same way. All caps were used as the standard for comic lettering because the ink would spread and close up in the small spaces between letters "a" and "e" for example. Using all caps presented new issues. A word like FLICK could not be used because the ink would spread and the word would become something else. Shield your eyes children! The point is that the early creators of comics wanted to use upper and lower case letters. They were forced to use all upper case by the poor quality of the paper and printing technology. So now with better paper, digital and printer technologies the creative choices are open once again. We can use upper and lower case letters which are easier to read. We don't have to keep using all caps because "that's the way it's always been done." Likewise with drawing digitally. There's no need to draw at 11" x 17" on the computer and reduce it down. You can draw at the printed size and zoom in to 150% and you're drawing as if it is 11" by 17". There's no need to letter or color at the 11" x 17" size. You will keep your file size small and be able to see what it looks at printed size. You may also save time as you won't have to wait for your computer to render, redraw or catch up with you since your file size will be smaller. With original art you don't want to miniaturize. Which means drawing the same detail on a car that's far away as a car that is larger and closer to the reader. This helps to create atmospheric perspective and gives the illusion of depth. You still don't want to do this digitally, however the better quality of e-book readers and zoom in technology do open up some creative possibilities that didn't exist before. Think about it. No matter what size you draw, use 600 dpi as your resolution. 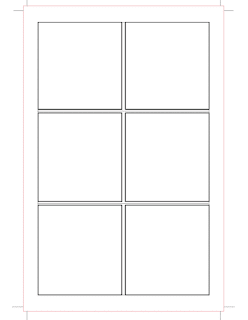 So here are the sizes you need to be aware of when creating a comic digitally at print size. Live/Safe area is 6" x 9"
Bleed area is 7" x 10.5"
Trim size is 6.625" x 10.25"
*Note: Printers only need an 1/8" bleed. Any more is just a waste of your time and space. A good guide is to use no more that 25 to 28 words per balloon or caption. https://kleinletters.com/HandBasics.html - How to letter by hand by Todd Klein. Next… I'll have some templates for you to download or maybe I'll only make it available to people who I see follow me. previous - Wow, What a Spread! Using a regular brush to draw and paint to create digital art with the natural look of drawing and painting.